Years after the Frankfurt School, Roland Barthes’s work, Laura Mulvey’s film analysis, The Centre for Contemporary Cultural Studies, various essential books and readers on popular culture, countless conferences and gatherings on popular culture that have taken place all over the world, it may seem that trying to point out the importance of popular culture in yet another scholarly journal is mundane. However, certain phenomena prove that this kind of topic is a necessity: the omnipresence of comic-book adaptations – such as the recent Black Panther phenomenon that has many global and local social, cultural, political, and economic implications, not least through the money-making promotions of certain kinds of active citizenship (NGOs’ promoted voter registration in theaters) – or videogame adaptations and rampant sexism and racism in one of the most successful industries of the day, or constant claims about the connection between mental health issues and video games, as well as the ongoing on- and offline struggle to give the neglected, minor voices their representation in popular products, or the timely #MeToo movement that called out Hollywood first and then almost entire creative industries on violence, coercion, and taking advantage over women. Popular culture is an industry as well as a community; it is profitable and it is marginal; it is equally monumental and trivial. The truth behind one of the most analyzed aspects of human culture today shows that it is ever-changing, transformative, that it is one of the most productive praxes for creators and audience alike, and, in the end, that it has important social, cultural, political, and economic effects, simultaneously producing affects and emotionality. 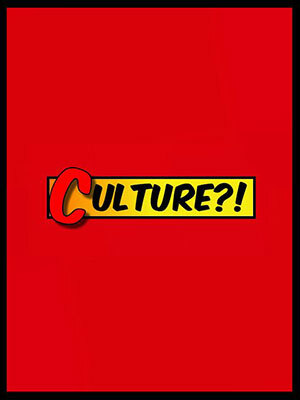 While previous 16 issues of [sic] offered various analyses and treatments of popular culture (predominantly focusing on the issue of power in American, and other, popular culture), Praxes of Popular Culture is seen as [sic]’s first concentrated (and contained) attempt to point out the potential of different popular cultures, diverse topics they entail, and to open up a diverse discussion on how various knowledges and truths about race, gender, nationality, class, sexuality, ethnicity, among other things, are being produced. The book reviews presented in this issue offer an overview of the latest multidisciplinary and interdisciplinary work in the field of vampire studies (Emilia Musap), an interesting insight into the historical and contemporary traditions of Japanese samurai (Marko Lukić), as well as a review about citizenship studies, sexuality, and popular culture (Pavao Parunov). This section is complemented by a review of Ivana Čagalj’s poetry collection titled Paralaksa (Diana Njegovan) and a review which outlines the latest developments in theatre studies (Mirna Sindičić Sabljo). Whether you are waiting for the conclusion of the 14th season of Supernatural, the first superheroine standalone movie from Marvel, the new reboots of Northern Exposure, new adaptations of fan fiction, or are taking pleasure in the wilderness and unpredictability of Red Dead Redemption 2, we hope that Praxes of Popular Culture will serve as intellectually provocative, challenging, and useful resource for your own study of popular culture, a study always containing some emotionality. With this emotionality in mind we would like to conclude with a somewhat unexpected and non-traditional addition to this introduction. We would like to end by dedicating this particular issue to Stan Lee. The death of this artist, who was by many defined as the father of the modern (American) mythology, and whose work has inspired innumerable generations as well as entire industries, defined the end of an era. Popular culture will continue to grow and develop, and we will continue to consume it, enjoy it, debate it, and analyze it. However, from this point on, it will never feel the same. Thank you, once again, for all the adventures. Excelsior!